I’m not going to post about politics for the next two weeks. Instead, I’ll focus on other things that matter to me: science, philosophy, history, and of course… handwriting. The reason that I’m not going to post about politics is that I would feel compelled to say something about the upcoming election, and I really have nothing to add to that conversation. This is not a matter of being self-deprecating or even especially modest. But everyone in the Unites States and parts of Europe will be writing about the election non-stop for the next several days, and to be quite frank there is saying that involves monkeys and Shakespeare that comes to mind. I’m certain that any opinion at all that can possibly be expressed will be expressed by someone, and I don’t need to be just another voice in all of that noise. Isn’t this cool? 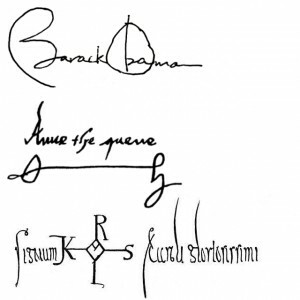 These are the signatures of Barack Obama (1961 -), Anne Boleyn (1501-1536), and Charles The Great (742-814). You can tell that signatures have become less and less ornate over the last 1300 years. This is partly because back during the Medieval period, in the time of Charles the Great and the 500 or so years that followed, most people (and even most Kings) were illiterate, and so the signature was more-or-less conceived as a picture or “sign” that represented the approval of a person. The arrangement that you see in the center of Charles’ signature was very common through out the Middle Ages: the first and last part was written by a scribe, and the middle “royal sign” was drawn by the King himself. The sign was essentially an artistic arrangement of letters that usually happened to include the letters that made up his name. There is something very cool and stylish about having an “artistic” signature, and I guess this occurred to President Obama at some point in his life.. The way that the vertical line of the “b” bisects the “O”, and the proportions of the upper-case to lower-case letters all look very artistic. It makes me wonder if he practiced it. 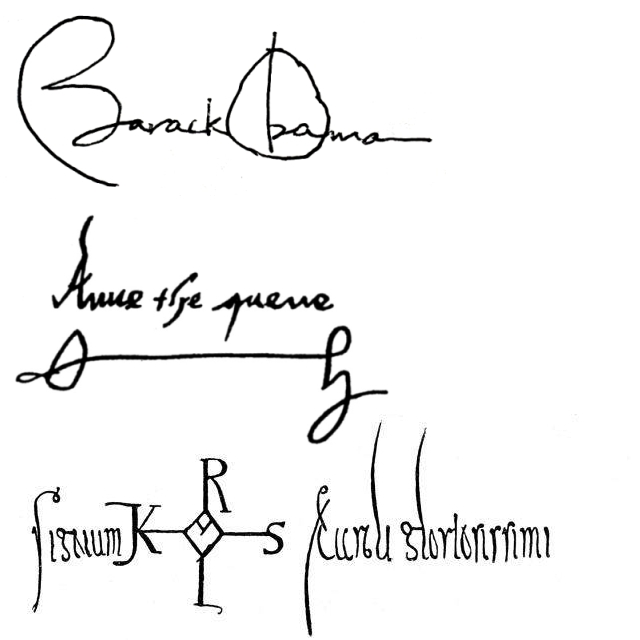 I’ve seen a bunch of attempts online to use “handwriting analysis” by “handwriting experts” to decode President Obama’s personality from his signature, I wonder whether that kind of analysis is legit if, in fact, President Obama’s official signature is as contrived and deliberately stylized as those of Medieval royalty? I”ll admit it: I’ve practiced a professional signature before. Back when I was at a point in my life when I had cause to autograph things, I deliberately contrived a “professional” signature. My actual personal signature, written on checks and legal documents, was far too sloppy and incomprehensible for public consumption (in my opinion at that time, anyway). So I came up with something a little nicer and more legible. But not as pretty as Obama’s, I’ll admit. 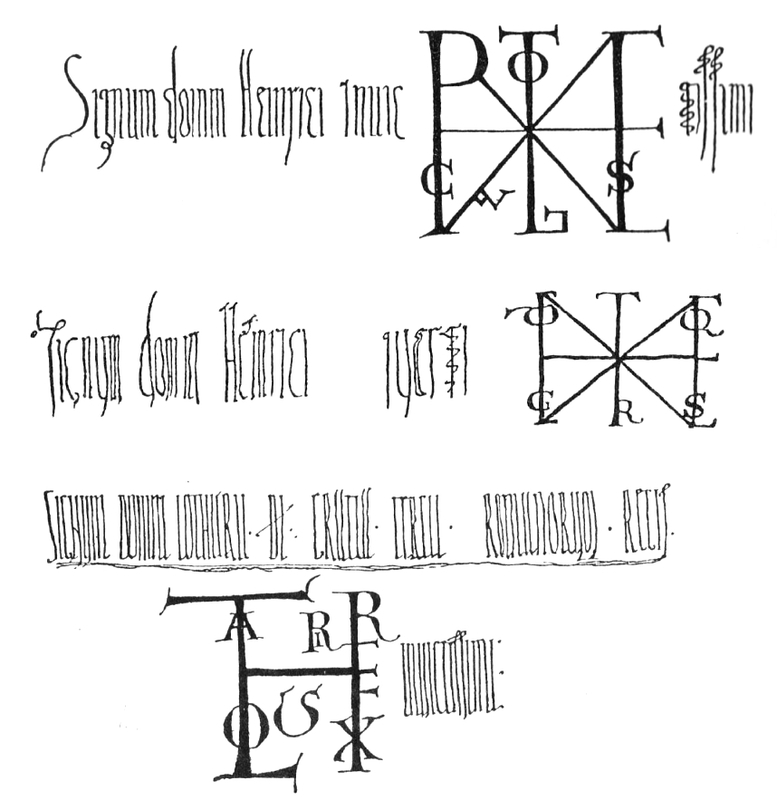 Here we have three kingly signatures: King Henry II, King Henry IV (I actually have written about his fascinating and hilarious political maneuverings in a previous blog post), and Lothar of Saxony. 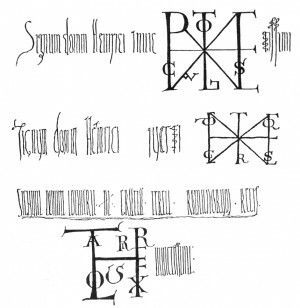 In each of them, you can see the introduction (“signum domni”) followed by the name of the King written out by the scribe, followed by the sign (symbol) of the King, which was usually drawn by the King himself. Somewhere in there, either before or after the sign, is usually some more text that indicates the rest of the King’s title, such as “regis invictissimi” (unconquered king) or “quarti regis” or something along those lines. So I started thinking: I ought to make me one of those. You know, just for fun. I could use it to sign my name on petitions and such. So here is the question: if I had a royal Medieval signature, what would it look like? After a little thought, I’ve decided on this. 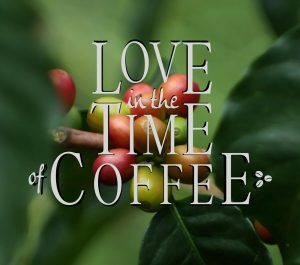 Naturally, it has to begin with “signum domni”, because they always do. My name, and naturally my title… the only title that I have, that of Doctor of Philosophy. The fun part, of course, was the “sign” component of the signature. Just from looking at the examples above, I could tell that Medieval royalty played it kind of fast and loose with the letters and arrangements, but usually there were one or two major letters associated with the King’s name with other smaller letters arranged inside or around it. So I followed the same pattern. Since “Greg” contains two G’s, I decided I only needed to write it once and include the “r” and “e” inside the lower portion. I then arranged the remaining unique letters (not bothering with duplications) in my last name across the top. 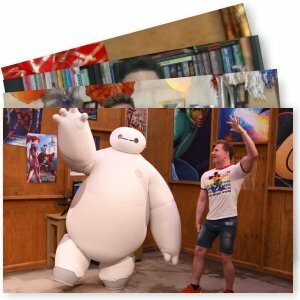 Once again, looking at the actual examples above, the layout and order on the page didn’t seem to matter much to them… so I took some liberties. So there you have it: My medieval signature. 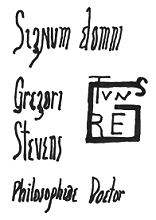 What would your medieval signature look like? Hmmmm. I have also spent quite a bit of time developing my signature… This may be more common than I originally thought.